I'm really happy that I asked your opinion on the fit of my Peony wearable muslin because I got some really good answers, thank you! Sew Little Time and Marrie B suggested that I check out this post for a sewalong that Gertie did a few years ago. It's super helpful if you are having trouble with your darts. It tells you how to shorten, move, and reshape them. 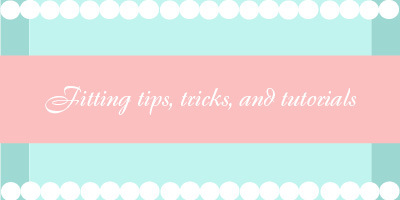 Make sure to check out Rochelle's post on darts too! Below I have added a few more links on fitting. Please chime in and let me know of any other links I should add! Some of the links below do not apply to the Peony, but I thought it best to include them in this reference page. If the answer to your question isn't here, then head over to the Flickr group and ask away! Week of October 15th: It's All About Fabric! 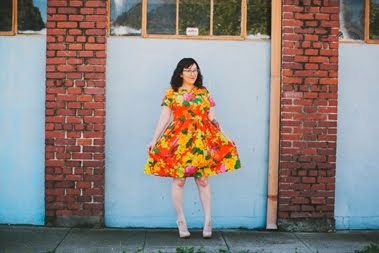 Week of November 5th: Peony Parade - upload your finished dress into the sew-along Flickr group!